Global Educational Portal for students, institutions, associations, consultancies, educational product suppliers, teachers and parents to learn, discuss, share knowledge and get motivated! 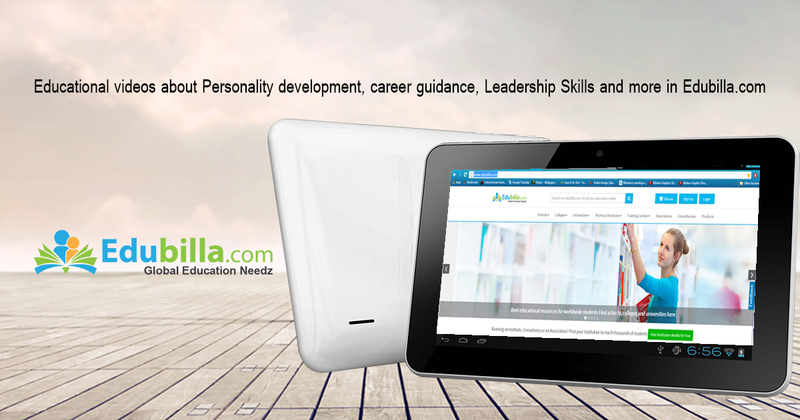 Our global education portal Edubilla.com gives students, institutions, teachers, world wide educators, educational associations, education consultancies, alumni, parents and educational product suppliers quick and easy access to all the information and resources they need. Edubilla.com is one of the fastest growing education information portals. It helps education institutions thrive in an open and dynamic world. Edubilla.com is privately funded and backed by leading provider of online web solutions. We provide the great platform to all the above people to communicate together and share knowledge and We strongly believes about Social Learning. To provide the best education platform, You can join with us. Edubilla.com is one of the fastest growing education information portals. Our Team works hard to produce free resource for educators. The company provides a wide range of sophisticated and comprehensive services and Web-based solutions.We provide information on all aspects of the Global educational system. Our Edubilla.com's Mission is to inspire creation of a knowledge-based society, induce competitiveness yet foster a sense of co-operation. We to create an environment that does not produce industrial workers and labourers but fosters knowledge workers. Such people must be at the cutting edge of knowledge, be competitive and innovative. Education development has a major role to play in shaping knowledge workers and, in turn, placing India in the vanguard in the information age. Edubilla.com is the emerging educational portal which is primarily focus on providing the best resources of education to world wide students and educators. Know more about edubilla.com and grow your educational community for better knowledge. The official Edubilla.com blog for news and updates.